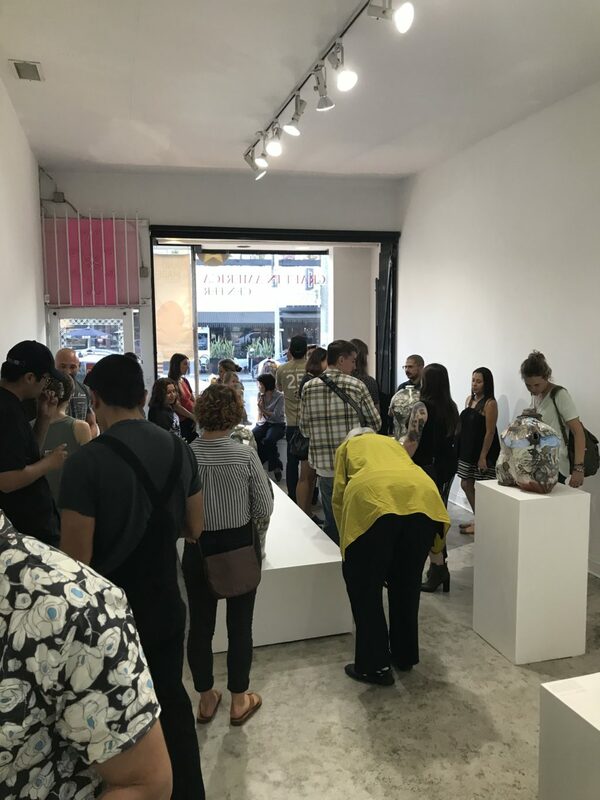 This past weekend, the Center hosted the opening for Gerardo Monterrubio’s current solo exhibition as part of our three Pacific Standard Time: LA/LA shows: Mano-Made: New Exhibition in Craft by Latino Artists. 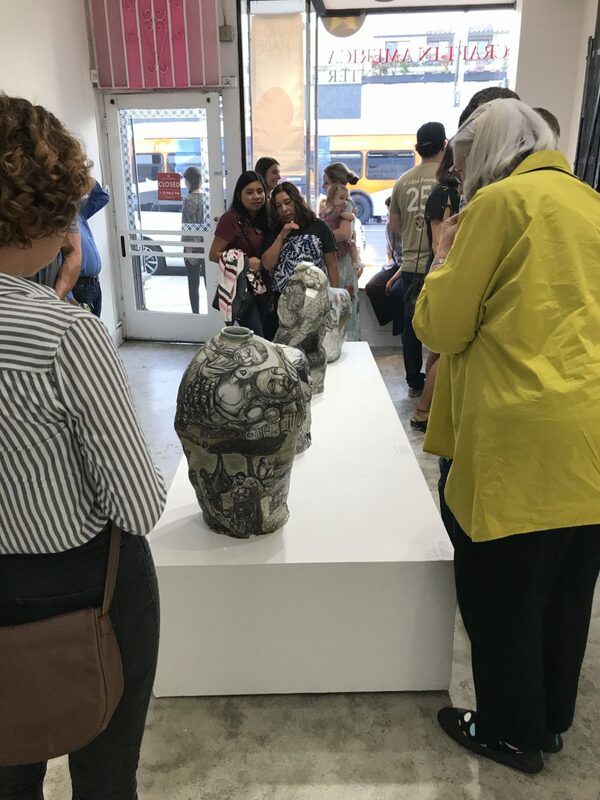 We were so thrilled that so many people were able to join us for the opening, as these works are crafted and designed to be viewed to move around them. 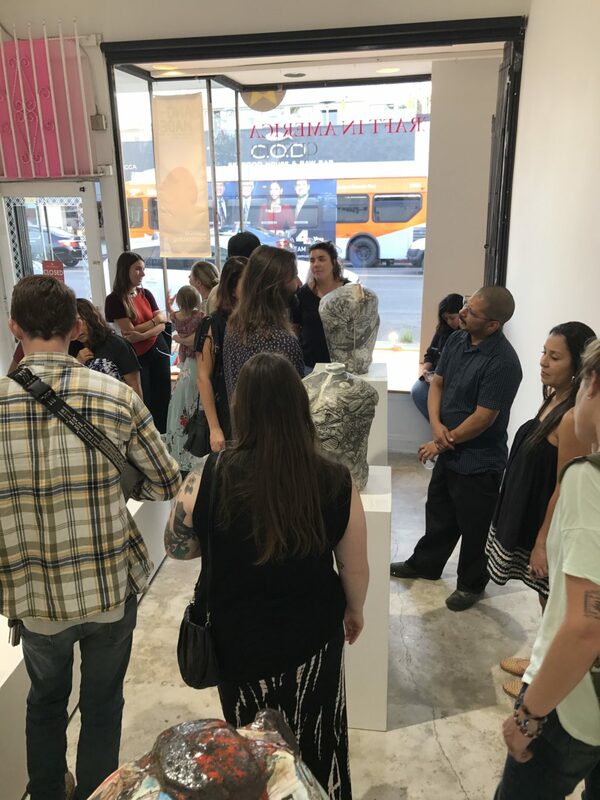 The imagery literally wraps around his works, each image playing with and informing the other images. In certain cases, imagery jumps from one piece to the next. 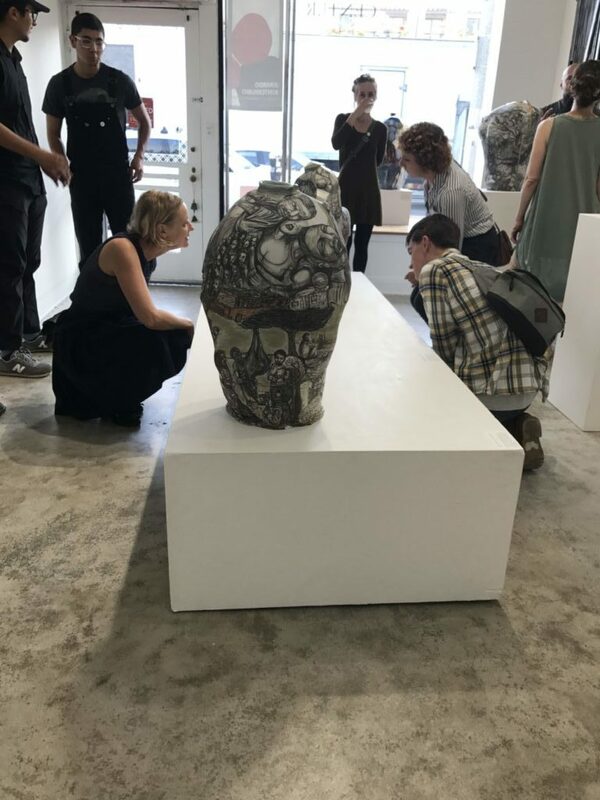 What made us so supremely happy was how much time people spent with each of the artworks. 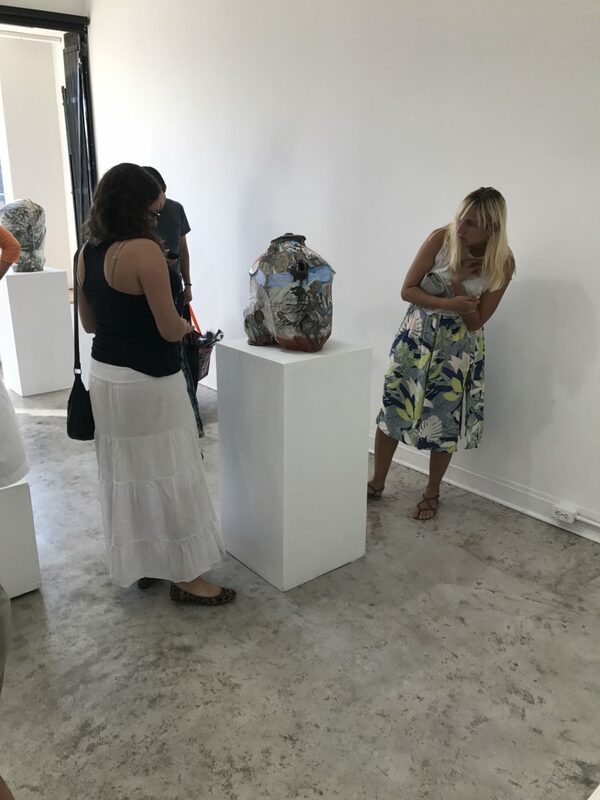 There are a wealth of stories fired into each work, and every person, dog, object on each piece are placed there very intentionally by Monterrubio. 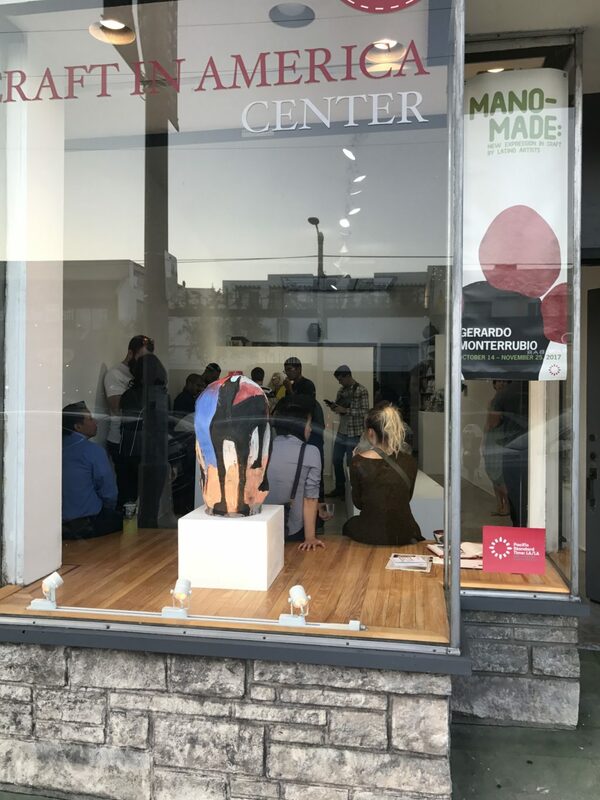 Gerardo Monterrubio’s Mano-Made exhibition is on view through November 25, 2017 at the Center.